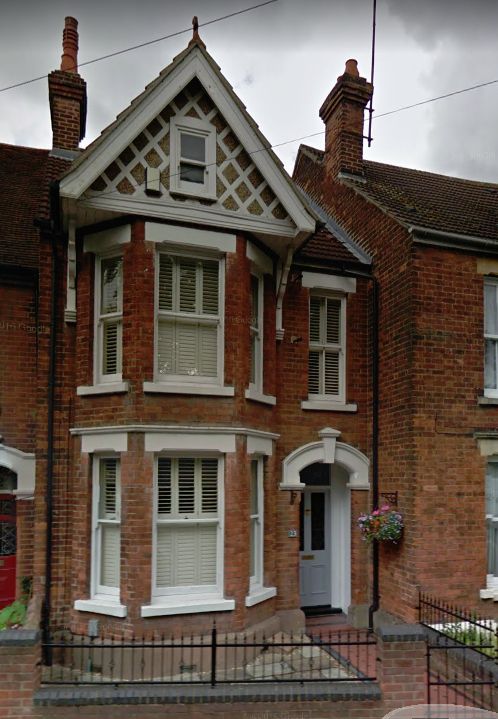 Occasionally at 23 Russell Avenue, Bedford, when an infant of 4 years, a ghost (not unpleasant) in the shape of Schoolmaster wearing a mortar board, would appear from the closed, built-in wardrobe in my bedroom and slowly walk slowly towards my cot. I would scream in terror, not so much at the 'ghost' but as an infant... he was not my parents, he was no one I knew. In absolute fright and petrified exhaustion, I would feel myself going down and down, as if sinking into the bowels of the earth, as the man leaned over the cot rails gazing at me, before vanishing. Then my Mother would appear, "what on earth are you crying for?" she would ask; I continued to sob, too terrified for speech. This is a memory so vivid, that even today, I know this to be a true story.